Here is the most comprehensive list of any and every song used in Flashpoint on the web! We have also provided links to the websites of the artists. Titles in bold indicate either no song or other status. Episode 1 – Scorpio : Fortress by Dala. Episode 2 – First in Line : Precious Things by Jonathan Seet. Episode 3 – The Element of Surprise: Psalm by Hey Rosetta! Episode 4 – Asking for Flowers : You Can Rely on Me by Kim Taylor. Episode 5 – Who’s George : NONE – CELTIC HYMN. Episode 6 – Attention Shoppers : Dancing In-Between by Amy Jo Johnson. Episode 7 – He Knows His Brother : We Made a Pact by Hey Rosetta! Episode 8 – Never Kissed a Girl : Lost at Sea by Hugh Dillon. Episode 10 – Eagle Two : I am You by Kim Taylor. Episode 11 – Backwards Day : The World Won't Wait by The Dunes. Episode 12 – Haunting the Barn : Make It Home Tonight by Jenn Grant. Episode 13 – Between Heartbeats : Weapon by Matthew Good. Episode 1 – Business as Usual : Search Party by Wintersleep . Episode 2 – Fortress : Weightless by Black Lab. Episode 3 – Clean Hands : Days Like This by Kim Taylor. Episode 4 – Aisle 13 : Help Me by Daniel Cage. Episode 5 – The Perfect Family : Rain by Jon Heintz. Episode 6 – Remote Control : Shine by Hannah Georgas. Episode 7 – Perfect Storm : All Roads Lead Home by Golden State. Episode 8 – Last Dance : Chopin Ballad by Melanie Doane. Episode 9 – Exit Wounds : Sun Is Shining Down by JJ Grey & Mofro. Episode 10 – One Wrong Move : NONE – FLASHPOINT THEME PLAYED ON PIANO WITH BACKGROUND STRINGS. Episode 11 – Never Let You Down : Now the Struggle Has a Name by The Tragically Hip. Episode 12 – Just a Man : Don't Be Fooled by Hugh Dillon. Episode 13 – Custody : Start Again by Sammy Jay. Episode 14 – Coming to You Live : The Sound of My Voice by Jon Heintz. Episode 15 – The Farm : Don't Fall Apart by Royal Wood. Episode 16 – You Think You Know Someone : Crash by Lee Hester. Episode 17 – The Good Citizen : Defending Our Lives by Jon Heintz. Episode 18 – Behind the Blue Line : Let it go by Daniel Cage. Episode 1 - Unconditional Love : Sometimes by Melanie Horsnell. Episode 2 - Severed Ties : Save My Life by Johnny BLK. Episode 3 - Follow the Leader : Will You Be There by Richard Harris. Episode 4 - Whatever it Takes : Catch Me When I Fall by Daniel Cage. Episode 7 - Acceptable Risk : NONE – VOCAL BALLAD. Episode 1 - Personal Effects : Build You Up by Kim Taylor. Episode 2 - Good Cop : Best Laid Plans by We The Living. I'm looking for the electronic track playing in s01e02 from 3:11 to 4:16. Any chance I could find and buy it? Or was it made exclusively for the show? Do you know what is the name of the song played at the end of Season 3 Episode 7? Hey Dmitry and Jonathan ! That song was in fact a short original composition composed by Ari Posner and Amin Bhatia. The music supervisor of the show confirmed this and told me that they tried to put in a song in there, but it just didn't work! I hope this helps! Hey sailordees, thanks for the help! We Got The Solution by Moon Chase Blog Network is licensed under a Creative Commons Attribution-Noncommercial-Share Alike 2.5 Canada License. Based on work here. Permissions beyond the scope of this license may be available here. and in the US on CBS. Check Your Local Listings for Airtimes! 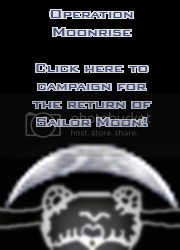 ☽ Moon Chase: Chasing Sailor Moon News All Over! ☄ We Got The Solution: A Flashpoint Blog! 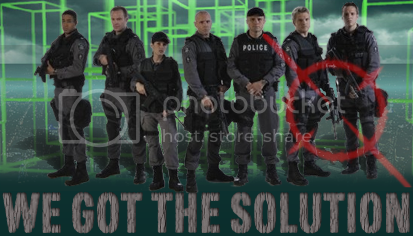 Flashpoint is copyright CTV, CBS, Pink Sky Entertainment, Avamar Entertainment, and Alchemy Television Group. We Got The Solution: A Flashpoint Blog is operated by the staff of the Moon Chase Blog Network (Sailordees, The Me, KungPow, and Emily), and is not affiliated with the aforementioned companies or any of the licensors or networks which hold the rights worldwide. Licensed under Creative Commons Attribution-Noncommercial-Share Alike 2.5 Canada License, for more details on our policies click here. ©2009 Moon Chase! Blog Network.